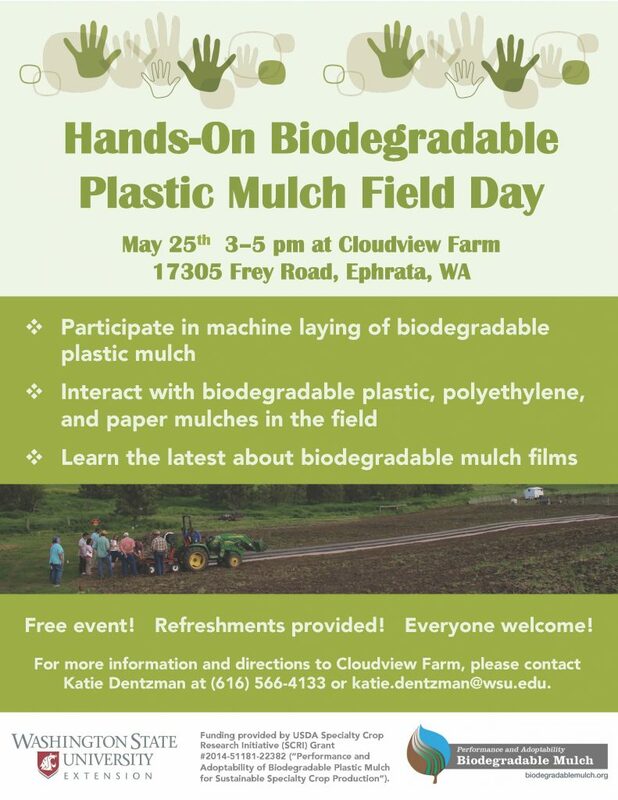 Don’t miss the Biodegradable Plastic Mulch Field Day in Ephrata, WA on May 25th! Participants will have opportunities for hands-on access to mulch films and will learn about the latest advances in materials and techniques. Please see downloadable flyer below for additional details.